There are more than a few free data recovery software on the internet but not all of them can provide you with complete file recovery. Most file recovery software can only restore partial data, take way too long to restore a file and are overall agonizing to use. Have you ever been in a position in which you accidentally deleted an important file or lost a file to corruption or data loss? This is without a doubt one of the worse things that can happen to anyone which is why EaseUS provides a free data recovery software that is fast, effective and can efficiently restore the entire file rather than restore it partially like many other file recovery software. Here are some benefits of using Data Recovery Software. Unlike other file recovery software, EaseUS Data Recovery Wizard restores complete files. When files are deleted the data loses its place on the HDD, its record from FAT and MFT also gets deleted, but it is physically present on the hard drive. Most free data recovery software only restore partial files because they can’t find all the data for the said file. EaseUS Data Recovery Software is different, it used a sophisticated code that tracks down all data accurately and provides the exact file you deleted with an amazing 99% success rate which is unrivaled by other file recovery software. Another area EaseUS Data Recovery Software is unmatched is the number of devices and types of files it supports for restoration. Most free data recovery software only restore a handful of file formats on couple of devices. EaseUS Data Recovery Software runs on all versions of Windows from 2000 upwards as well as supporting Mac devices. As far as file types it can restore goes it can restore anything from simple .docx files to video files to .rar files to many more; making it the most versatile file recovery software on the internet. A major downside of using a file recovery software is that it gets out of date rather fast due to the advancement in technology. This is exactly why on every purchase on EaseUS Data Recovery Software users get all upcoming updates and professional support from EaseUS free for the rest of their lives. File Recovery Software recovers lost or corrupted data in no time and has proven to faster than any other free data recovery software on the internet which makes it a must have for anyone that wants to restore deleted or corrupted files. 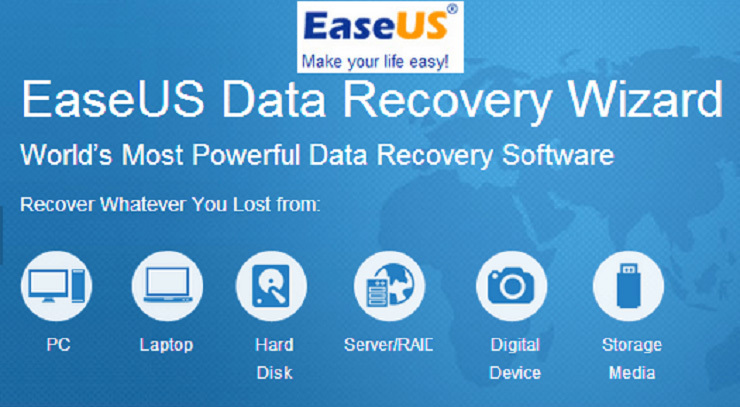 You can download the free version of EaseUS Data Recovery Software online today and restore up to 2 Gb data for free and see for yourself just how amazing of a file recovery software it truly is.